Only a few months ago, 14th St.N, which enters Rosslyn from the west, was a total mess. Now it's a beautifully smooth road. Moreover, it has the finest bicycle markers in the U.S. 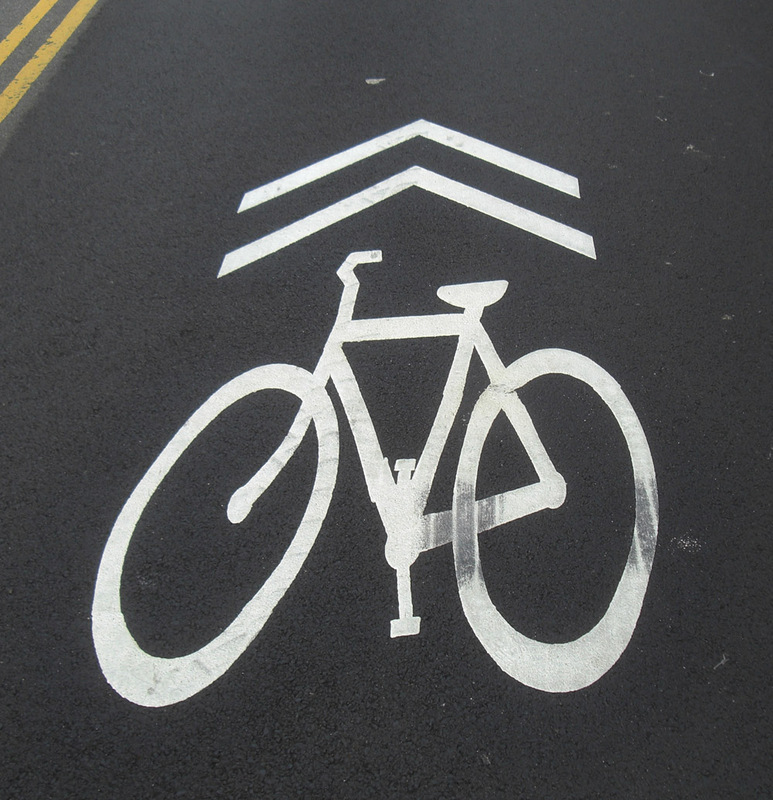 Compare these bicycle markers (above) to the typically bicycle marker (below). The drawing above is less blocky and more elegant. The drawing above depicts a bike that has pedals. Pedals are a crucial component of a bike. 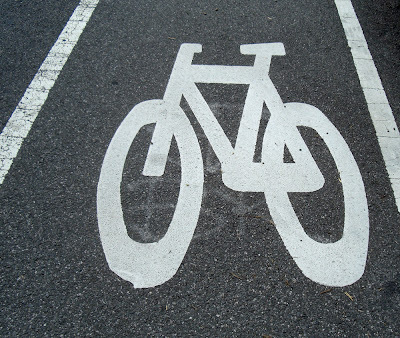 Moreover, the bike above has a curved front fork, which tends to provide better handling and a smoother ride. The geometry of the rear triange on the top bike is also much better designed. Rosslyn, a leading center of art and design, is a particularly appropriate place to have fine bike markers.